NATCO Communications serves the scenic Bull Shoals Lake South Shore region of north-central Arkansas, providing telecommunications services to businesses and residents in a 658 square mile m/l service area that encompasses portions of Marion and Boone Counties. An independent, locally owned company, NATCO Communications offers rural customers state-of-the-art, advanced telecommunications services including Voice (Residential and Business Landlines and Long Distance), Cellular (Calling, Text & Data Plans and Phones), Internet (FTTH, High-Speed Broadband and Satellite), Security, and Television (Internet-TV and Cable TV). NATCO Communications is proud to support the communities it serves through the efforts of the South Shore Foundation. NATCO Communications works within its service area to enhance the quality of life and to accomplish the goals of environmental preservation, educational advancement, and economic development through technology and telecommunications. 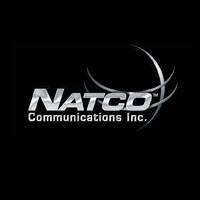 NATCO Communications - connecting your world with the most advanced technology and the best customer service.